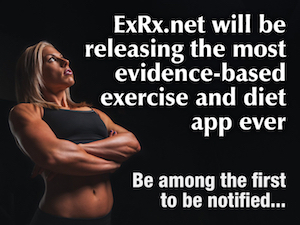 ExRx.net : Barbell Lying Triceps Extension "Skull Crusher"
Barbell Lying Triceps Extension "Skull Crusher"
Lie on bench with narrow overhand grip on barbell. Position barbell over shoulders with arms extended. Lower bar to forehead by bending elbows. Extend arms and repeat. Slow barbell's descent as it approaches forehead. Exercise can also be performed with elbow traveling slightly back during extension. With this altered form, barbell essentially moves in straight line, up and down, over forehead. Either straight barbell or EZ barbell can be used. See Lying Triceps Extension Bench with rack.